The present volume deals with the history, culture and social life of Burhanpur since its inception. Founded by Faruqi ruler Nasir Khan in 1407, the city was the capital of the Faruqi kingdom for two centuries, till its occupation by the Mughal emperor Akbar at the close of the 16th century. The Faruqi rulers were quite tolerant by the standards of those times and consequently Burhanpur gradually became a centre of the Sufi saints who came and settled here from all parts of the country. Raja Ali Khan, a Faruqi Sultan was so liberal that he inscribed Sanskrit inscriptions along with the Arabic inscriptions in the mosques of Burhanpur and nearby Asirgarh. After the fall of the Faruqis, the Mughals held their sway, and Burhanpur became the headquarters of the Suba of Khandesh becoming very important politically. During the Mughal rule, peace and prosperity prevailed, leading to an increase in trade and commerce and the city became an important centre for domestic and foreign trade. Gujarati and Rajasthani traders and Bohra community capitalized on this trade opportunities and settled here. For the huge population of Burhanpur, a unique water supply system was built during the reign of the Mughal Emperor Jahangir on the lines of Qanat system of Iran, under the supervision of Abdur Rahim Khan-i-Khanan, who stayed at Burhanpur for many years as an administrator. During the later Mughals, due to Maratha onslaughts, the trade and commerce of Burhanpur was affected adversely. The Nizam tried to give some stability by building a long rampart wall around the city to protect it from Maratha onslaughts, but ultimately he had to succumb to the growing Maratha power and Burhanpur was occupied by the Peshwa in 1750. Later Peshwa handed it over to the Scindia in 1778 who held it till 1860. There has been a confluence of various religions in Burhanpur and people of various sects settled here, contributing to the growth of a composite culture. A couple of chapters in the volume are based on the memoirs of the older generation of the city, giving an intimate glimpse of the past. Born in 1937 at Maharajpur, Mandla MP, Dr. Suresh Mishra did his Ph.D. in History from Sagar University, M.P. He taught History in Government PG colleges of M.P. (1960 to 1997). Recipient of ‘Dr. Shankardayal Sharma Srijan Samman (2012)’ for high quality writings in History, he was awarded Senior Research Fellowship of ICHR (2009-2011), Swaraj Fellowship (2007-08) of Swaraj Sansthan, Dept. of Culture, Govt. of MP, Bhopal and All India Makhanlal Chaturvedi Award of Madhya Pradesh Sahitya Academy, Bhopal for his collection of Hindi essays. Dr. Mishra has authored 29 books on History and has published more than 150 popular articles on culture, wild life, environment, folk culture, development etc. He is also the editor of research journal Sandhan (Jhansi). Presently he is engaged in historical research and writing. Mr. Nandkishore Devda is an entrepreneur, socialist, philanthropist and active figure in public life since 60 years. He is an avid traveller having explored all of India and most of Europe, USA and Canada. Born in 1928, at Burhanpur, Mr. Devda is a firm believer of Dr. Ram Manohar Lohia’s socialist philosophy. He actively participated in the Grain movement and student movement of 1942. He was arrested under MISA in 1976. He is the founder of the renowned ‘Milan Mithai’ (since 1954). President of famous ‘Navratri Vyakhyamala’ (1963 to 2000), he has also been the convener of ‘Gunjan’ cultural organization and Federation of Film Club (1967–1982). Mr. Devda has published 300 lectures delivered under the auspicious of Navratri Vyakhayanmala in 10 volumes of Chintan. 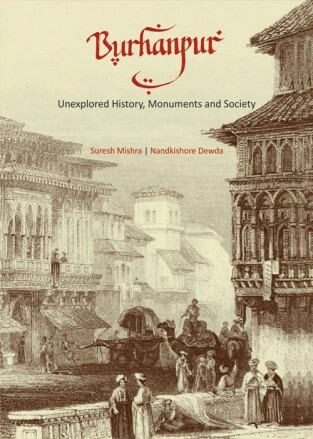 He is the co-author of the book Burhanpur: The City of Hydraulic Wonders. 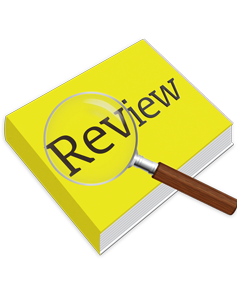 write a review (BURHANPUR: Unexplored...) Please Login!